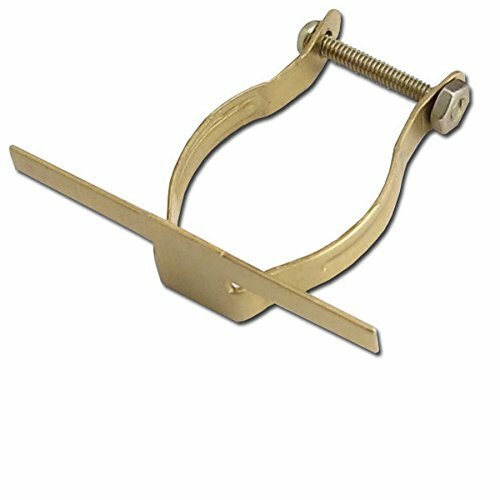 Night Light Brass Mounting Clip! Metal bar provides a secure glueing surface especially on fused glass or Stained Glass projects. Brass clip attaches to the neck of a night light with a threaded screw and hex nut bracket to secure it onto base neck. Simply solder or glue using E6000 or other strong adhesive) the fused design to the metal clip and attach it to the night light tightly with the enclosed screw to mount the glass to the face of the night light! If you have any questions about this product by A Sanborn Corporation, contact us by completing and submitting the form below. If you are looking for a specif part number, please include it with your message.